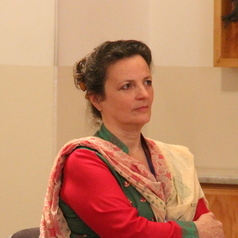 Dr Liza Schuster came to City in September 2005 from the Centre on Migration, Policy and Society at Oxford University. Before that she was T. H. Marshall Fellow at the London School of Economics working on a comparative project that explored processes of inclusion and exclusion in four European states: Britain, France, Germany and Italy. Since then she has offered critiques of access to the EU, British, French and Greek asylum systems, and developed a focus on deportation, examining the European returns directive, and the impact of deportation on those returned to Afghanistan and Uganda. Between 2012 and 2018, she spent five years working and living in Afghanistan, and recently completed a GCRF-ESRC funded project there. This project explores representations of migration and migrants in Afghan oral culture, the hopes, fears and plans of Afghan families facing the future, and the influence of the EU on Afghan migration policy. She teaches at all levels on the undergraduate and postgraduate programmes, including modules in general Sociology as well as Political Sociology and Global Migration. She is Co-ordinator of the Masters programmes. At City, Dr Schuster is continuing her work on the above issues, as well as focusing on domestic and European asylum policy (in particular the Dublin regulation and deportation) and developing her research interests in migration and racism, and migration and rights. Much of this research is comparative in nature, looking at Britain, France, Germany and Italy, and increasingly Afghanistan and Uganda. She provides expert reports on the situation in Afghanistan to Immigration Tribunals and authorities in a number of European states.